Rocky Top Sports World is pleased to report that youth sports tourism is on the rise! As detailed in The Monitor, travel related to youth athletics has become a $10 billion a year industry. Having grown by 20 percent in the last two years, youth sports tourism is the fastest growing part of the travel industry. As more kids get involved in travel sports and attend tournaments across the nation, families are increasingly trying to coordinate their vacations with their children’s sporting events. Here at Rocky Top, we are thrilled to be part of the youth sports tourism trend. We are a natural fit for sports tourism because our state-of-the-art complex is located in Gatlinburg, TN, one of the most popular vacation destinations in the country. When young athletes come to town for a tournament or camp, they frequently bring their families with them so everyone can enjoy the beautiful Smoky Mountain area. Let’s take a look at how athletes can make the most of their visit to Gatlinburg. With well over 10 million annual visitors, the Great Smoky Mountains National Park is the most popular national park in the United States. When you visit Rocky Top Sports World, you will be minutes away from everything the Smokies have to offer. Hikers will find over 800 miles of beautiful trails to explore. Even if your family isn’t necessarily the outdoor adventuring type, you are bound to find a trail that suits everyone’s interests and abilities, whether it’s a half mile hike or a 14 mile trek. In addition to hiking, the Great Smoky Mountains National Park offers incredibly scenic drives, excellent wildlife viewing, great picnic areas, bicycling, horseback riding, and breathtaking fall foliage. Best of all, the national park has no entrance fee, so you can enjoy the great outdoors without spending a cent! When you’re not competing in a tournament at Rocky Top Sports World or exploring the Great Smoky Mountains National Park, you can take advantage of Gatlinburg’s fantastic attractions. With mountain biking, whitewater rafting, a trampoline park, an indoor amusement park, and one of the best aquariums in the country, you’ll never be bored during your visit! Likewise, Gatlinburg is home to a variety of wonderful restaurants, including steakhouses, pizza places, and BBQ joints. To see our complete guide to fun and food in the Smokies, check out our blog about the best Gatlinburg attractions and restaurants. Rocky Top Sports World is an 80 acre sports campus located 4 miles from all of the attractions, shops, and restaurants in downtown Gatlinburg. Our complex offers seven fields, six basketball courts, 12 volleyball courts, bleacher seating, team rooms, referee locker rooms, and an onsite grill. 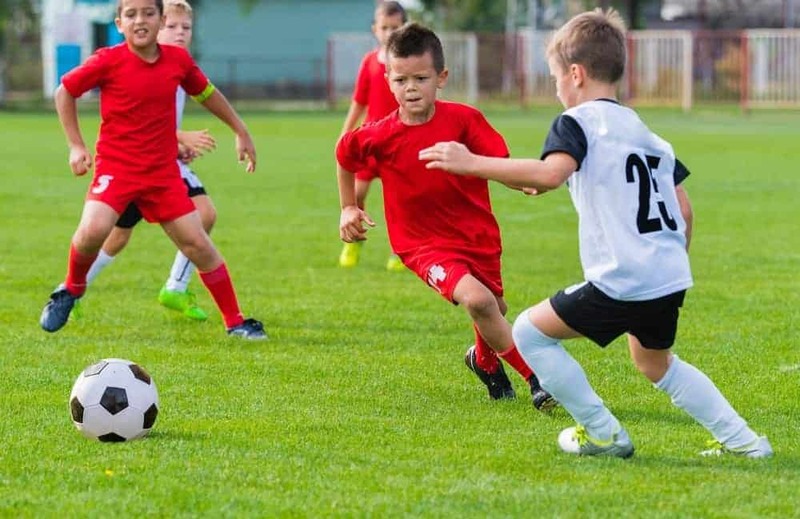 Whether it’s football, soccer, lacrosse, ultimate frisbee, cheerleading, basketball, volleyball, martial arts, wrestling, or another sport, our complex has everything you need for a stellar tournament. To learn about everything going on at Rocky Top Sports World this year, check out our Gatlinburg Sports Tournaments & Camps Calendar! This entry was posted in Trends in Youth Sports on August 29, 2016 by Jason Fishman.